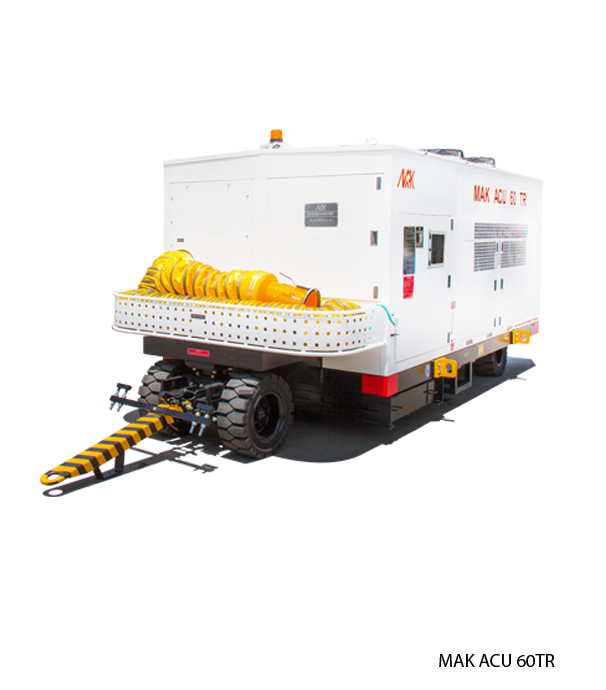 An ACU is used for supplying cold / hot Air into a parked aircraft’s to sustain comfortable temperatures for passengers in relation to ambient conditions. 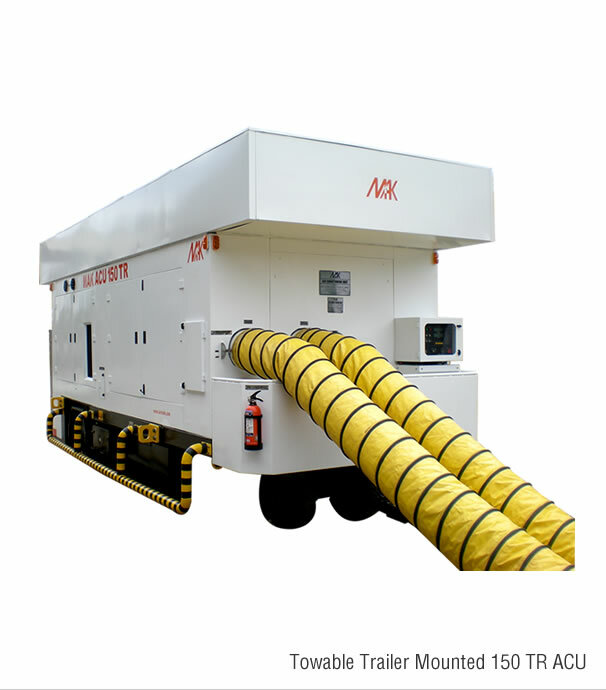 The output air travels via One/Two hoses connected to the aircraft’s under belly. 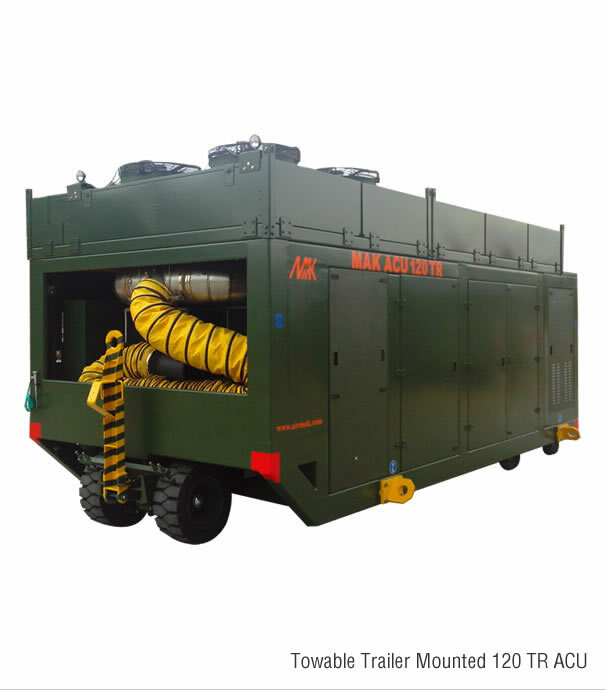 Power Force design and manufacture Air Conditioning Units from 5TR to 150TR. 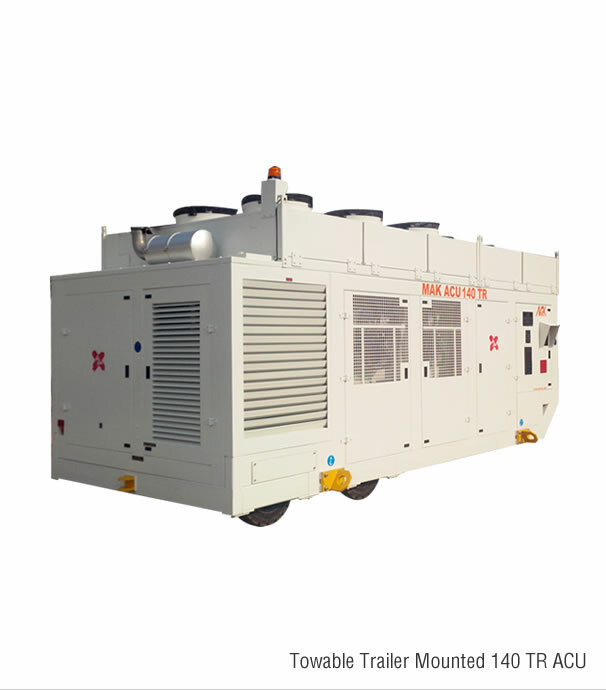 Standard models are 30TR, 60TR, 65TR, 70TR, 110TR & 140TR manufactured as per commercial aircraft specifications. 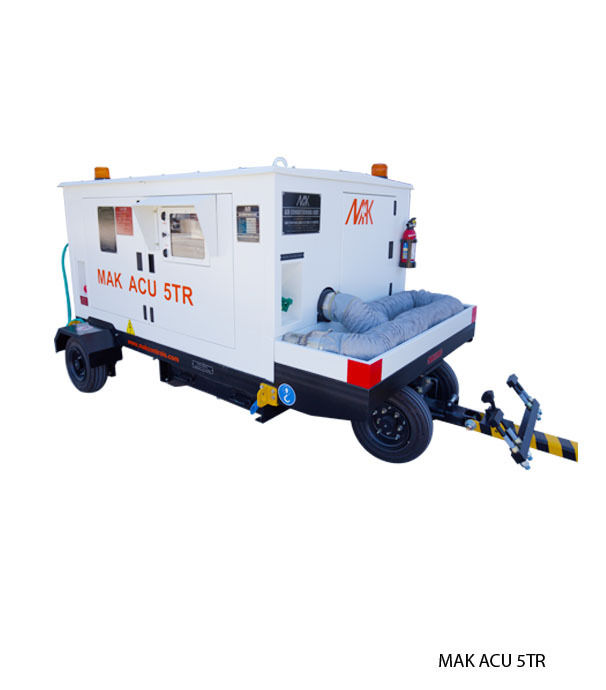 Power Force has specially developed ACU’s for corporate jets with 5TR capacity. Power Force ACUs boast of 1 Lakh + hours of incident free operation and find satisfied customers among major civil airlines and defense organizations across the world. Power Force ACUs comes with a touchscreen control panel Power Force GSEM V8-C and MAK RDMS-A feature rich fleet management software which transmits live operational data to a remote computer/mobile and alerts users in real-time of faults, alerts. With this software, users can plan maintenance schedules, ad-hoc service records, order spare parts… and much more, eliminating need for dedicated manpower per operation location. Following parameters are displayed through GUI touch screen on a graphical format for quick interpretation.